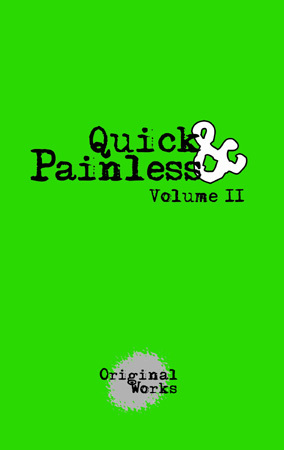 Quick & Painless is a ten minute play series that provides theatre companies with a low cost, high energy, great quality, late night series. It keeps actors acting and directors directing, while in between productions, or after a current show. The series has been performed in theatres, coffee houses, bars and backyards. A proven audience favorite!